As the students enter their classroom, they are alive with conversation and exuberant behavior. Most of the students are carrying their supplies, but a few are empty-handed. Several students are checking their cell phones, while two others have in ear buds listening to music. One boy is playing a hand-held video game while another stares out the window with a sullen look on his face. One girl looks like she’s been crying while three other students are talking about a hallway altercation between several boys that had happened earlier in the day. Three non-English speaking students who are new to the class look a bit trepidatious and nervous. Some students are in their seats, some are still standing, and at the sound of the bell, four students quickly enter the classroom. This scenario is a typical class on a typical day in a typical school. As the teacher looks around her room, she knows she is charged with teaching each and every one of these young people. She is well aware of the difficult task of closing the achievement gap. She also knows that this goal cannot be achieved until she addresses the engagement gap. As a result, her mission, should she accept it (and she does! ), is to capture the attention and maintain the involvement of all her students in their learning endeavors; then, and only then, can the achievement gap be reduced. What are the ways in which I can create a safe, non-threatening yet challenging environment that respects and responds to learner needs? How can I enable my students to engage in relevant and rigorous applications of learning? How does active learning and engagement promote the development and use of 21st century skills? The purpose of this newsletter is to investigate the concept of engagement from different perspectives with the outcome being that teachers can add new ways of thinking to the development of their plans and the execution of their lessons. Avoid potential confusion and down time by ensuring that students have sufficient background knowledge in order to complete the task at hand. Create “conditions of wonder” as students work by encouraging curiosity and/or student questions that may temporarily deviate from the lesson content. Devise group interactions where students refine their own thinking by engaging in a free exchange of ideas, especially ones that may not have one clear answer. Present information in story form that helps students create mental images, and thus, a deeper connection to content. Plan experiences that transcend busy work or “cool” activities to lessons in which students know they are engaging in important topics and developing their skills. Intellectual engagement: Teachers can give students a choice of the topic they wish to investigate, a problem or question they can explore, or the different ways they can demonstrate what they have learned. Emotional engagement: Teachers can employ a wide variety of strategies that elicit positive student emotions, promote a secure learning environment, minimize negative behaviors and eventually lead to academic success. Behavioral engagement: Teachers can establish routines or use cues to help students stay on task; they can also break up potential monotony by having students work in groups or move about the classroom to complete tasks. Social engagement: Teachers can place students in pairs or small groups where they discuss societal issues, present their work to their peers, or engage in friendly competition. Ask students to do something with the knowledge and skills they have learned. Break up the lecture with learning activities. In order for teachers to establish and maintain environments in which students are truly engaged, they must develop a repository of strategies/ideas from which they can choose to plan learning activities. Just ASK, in our publications and workshops, has always been committed to the importance of establishing learning-centered classrooms. An excellent resource is Paula Rutherford’s Active Learning and Engagement Strategies which includes an array of over 60 strategies and exemplars teachers can employ. In her Just ASK e-newsletter Making the Common Core Come Alive!, available in the online Just ASK Resource Center, elementary principal Heather Clayton provides detailed insights about practices that involve students actively in their learning. 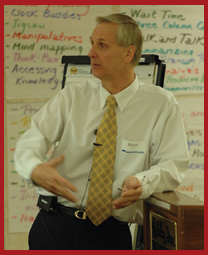 In past issues available in the online library, Heather has addressed promoting a classroom culture for thinking, encouraging creativity in students, conducting productive class discussions, the importance of student reflection, the power of Socratic Seminars, teaching students the art of argumentation, and the use of RtI (Response to Intervention) to provide effective instruction for students who are struggling to learn. 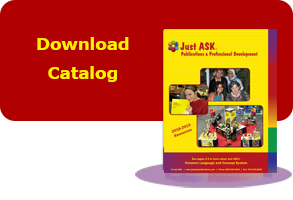 A third Just ASK resource is the Just for the ASKing! 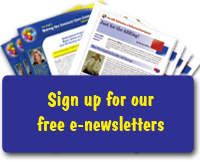 e–newsletter library which includes issues that address unlocking potential, fostering student resilience, engaging learning experiences, making 21st century skills come live, and closing the opportunity gap. As student engagement thrives and student learning improves, teachers will realize the satisfaction that their hard work and deliberate planning can deliver. How exciting, and even enthralling, that sense of accomplishment can be. Not only will the classroom be a place full of excitement and enthusiasm, but the teacher will be able to point to concrete evidence of student learning and achievement. Delafosse, Sonja. “Teaching in the 21st Century.” Posted 2012. Access at www.youtube.com/watch?v=075aWDdZUlM. “Student Engagement: Resource Roundup.” Edutopia. Posted December 9, 2014. Access at www.edutopia.org/student-engagement-resources. Oliver, Bruce. “Closing the Engagement Gap.” Just for the ASKing! March 2015. Reproduced with permission of Just ASK Publications & Professional Development (Just ASK). © 2015 Just ASK. All rights reserved. Available at www.justaskpublications.com.